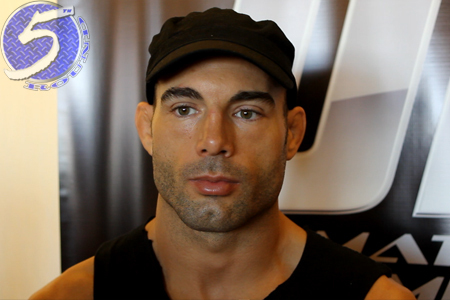 Mike Swick (Pictured) ended his 29-month hiatus in spectacular fashion on Saturday night. In fact, “Quick” couldn’t have dreamed of a better scenario in making his comeback. Swick, who had been sidelined with various illnesses and injuries, kicked off the FOX broadcast by putting DaMarques Johnson to sleep with a vicious right hand. Prior to the bout, Johnson guaranteed someone was going to be taking a nap during their scrap. Unfortunately for Johnson, he was the one who needed his blankie. Not only did the former “The Ultimate Fighter 1” contestant leave Cali with a victory to snap his two-fight losing skid, but he also pocketed an extra $50,000 for ‘Knockout of the Night‘ honors.